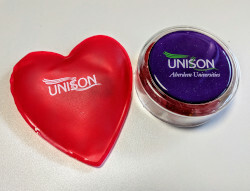 As part of heart unions week, we're hoping to show the live webinar about the STUC's better than zero campaign. Better Than Zero are a group of workers, who, since 2015, have been organising against precarious work in the hospitality and service sectors in Scotland. They campaign against zero hours, zero rights, and zero respect in the workplace. We hope to see you there! For further information you can also see the national website www.heartunions.org.